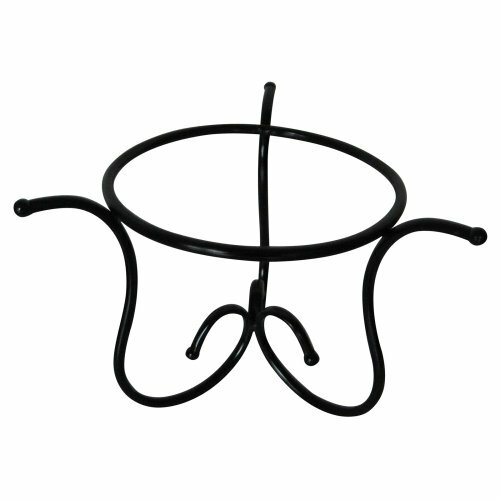 Our Cardinals, Verdigris, have a plastic loop to hang from any hook, tree or mobile display. Transport yourself to the tropics with a gentle lullaby reminscient of a wind-swept coconut palm grove. A gleaming 6" diameter half coconut shell created from inner shell of a coconut husk subjected to a seven-level sanding process tops this 35" hand-tuned bamboo chime by Asli Arts. Hand-made in Bali. Every Asli Arts chime features the mellow, earth-inspired tones unique to resonating bamboo tubes. Each Asli Arts chime is hand-tuned by a trained artist-musician who whittles each tube to the perfect pitch, repeatedly tapping each bamboo tube as he carves until the sound is just right. Then our artisans select a range of tube sizes that when combined and touched by gentle breezes, create a deep resonating sound. Bamboo tubes emit notes based on size, large tubes produce lower tones and smaller tubes emit higher-pitched sounds. By hand-tuning each tube, then selecting a range of sizes, each Asli Arts chime produces a melody unique to itself. Asli Arts is committed to producing innovative and quality home and garden decor products utilizing sustainable and recycled materials and the creative talents of Southeast Asian artists. Consumer warranty is 1 year for anything lifetime on tuning. Cannot sell into Canada per manufacturer. For a sound bite of this product, click here. 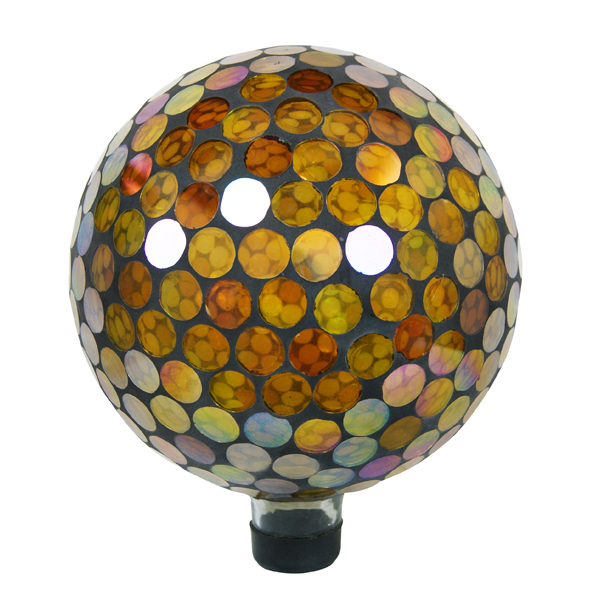 This beautiful glass gazing globe is a wonderful addition to any garden or outdoor space. 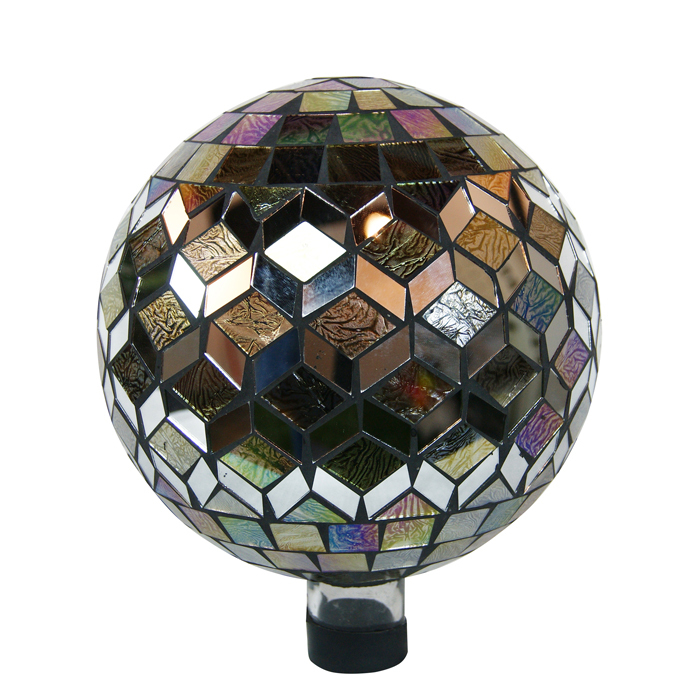 This globe is composed of real blown glass and features a shiny mirror finish. This 10 inch globe nicely reflects all of its natural surroundings. 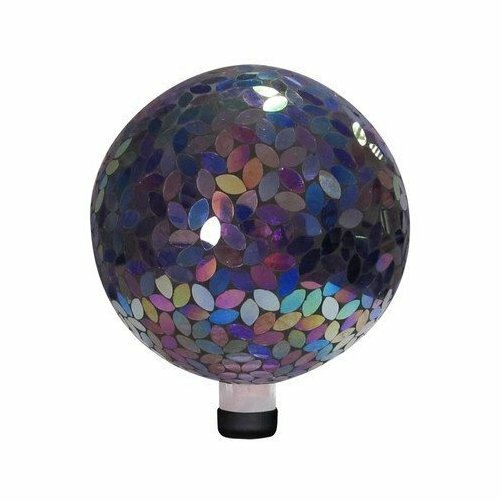 Color: Arco Irish (multicolor); Brilliant mirror finish; Made with real blown glass; Pedestal is not included; Dimensions: 10 inches in diameter. Add color and bling to an otherwise ho-hum garden courtesy of the 10 inch Blue-Aqua Mosaic Goobe. 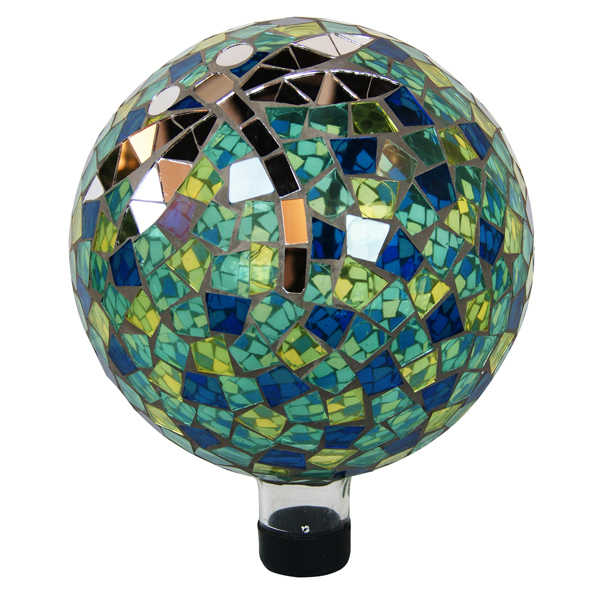 Each globe is individually produced by hand in the time-honored tradition of glass blowing, with the crushed mosaic blue, aqua and silver glass fragments meticulously placed atop the globe by hand. The colors of the globe radiate when exposed to the sun, with the refracted light naturally drawing the eye to that part of the landsacpe. When paired with your favorite stand it makes an ideal focal point. 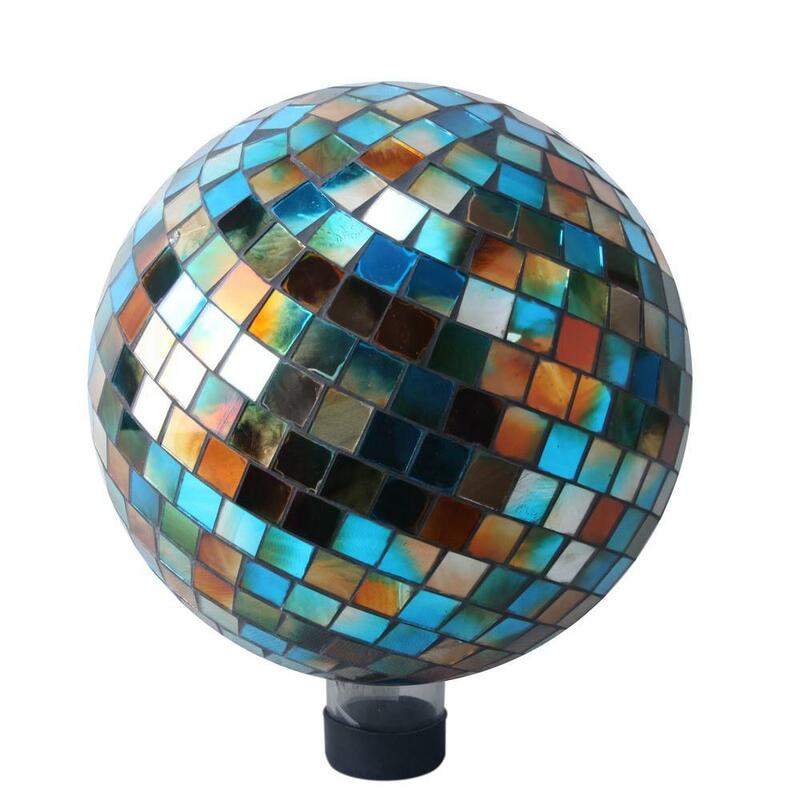 Reflect your gardens natural beauty with the new mirrored 10 inch Blue Chrome Swirl Gazing Globe. Each globe is produced from hand-blown glass ensuring the uniqueness and indiduality of each piece. The embosssed swirl pattern gives the globe added character. Place it on your favorite stand, coulmn, pedestal or holder and display it in an area of the yard where it is sure to act as a focal point. Imagine the night sky, the stars and the moon within reach, and glowing right in your own backyard! With these glow-in-the-dark Illuminarie globes, your imagination takes a step into reality. 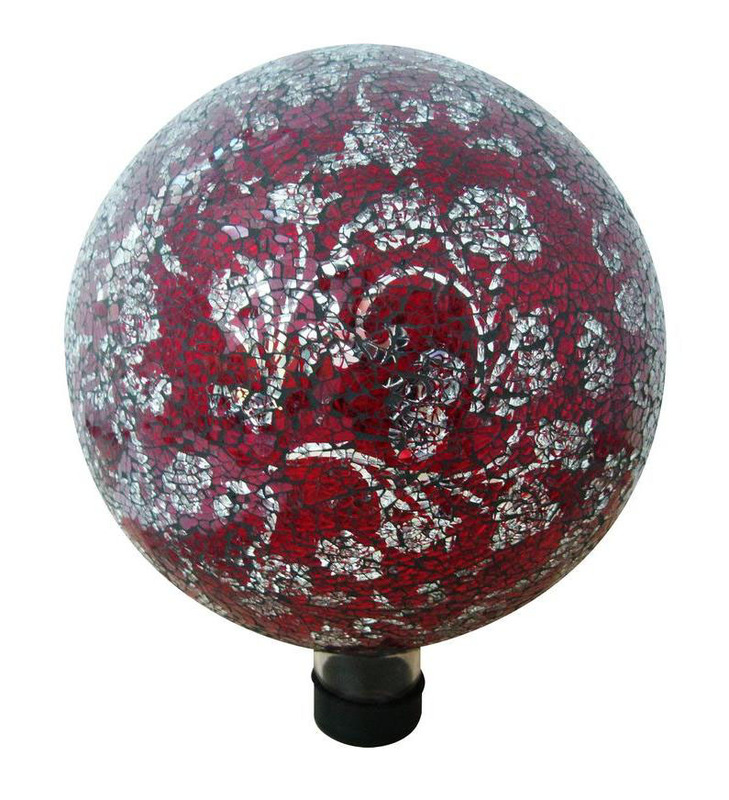 This beautiful 10 inch diameter gazing globe is real glass, hand-made with the traditional method of blown glass. Inside the globe is a dark blue swirl finish with a glow-in-the-dark streak of light blue-green. It looks great in daylight and takes on a truly unique aura at night! Mount it on any gazing globe stand or pedestal (the stand is not included). 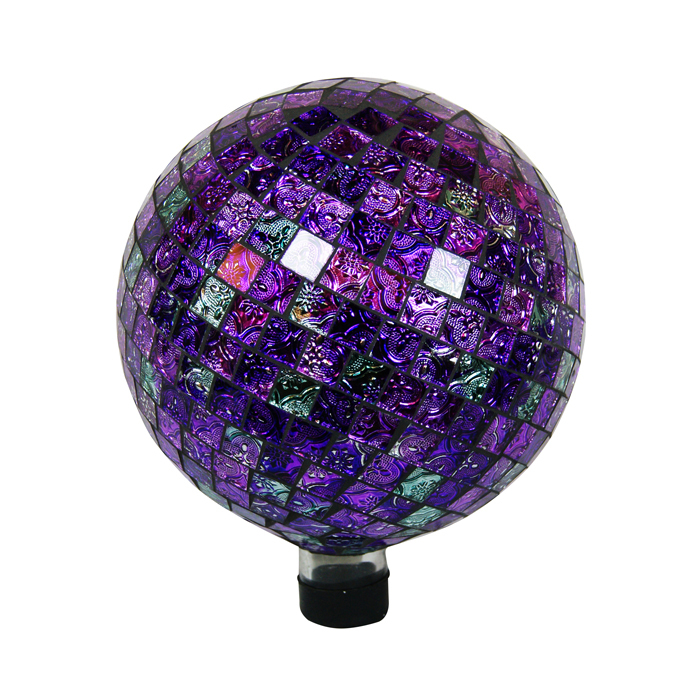 Reflect your gardens natural beauty with the new 10 inch Purple Hexagon Mirrored Gazing Globe. 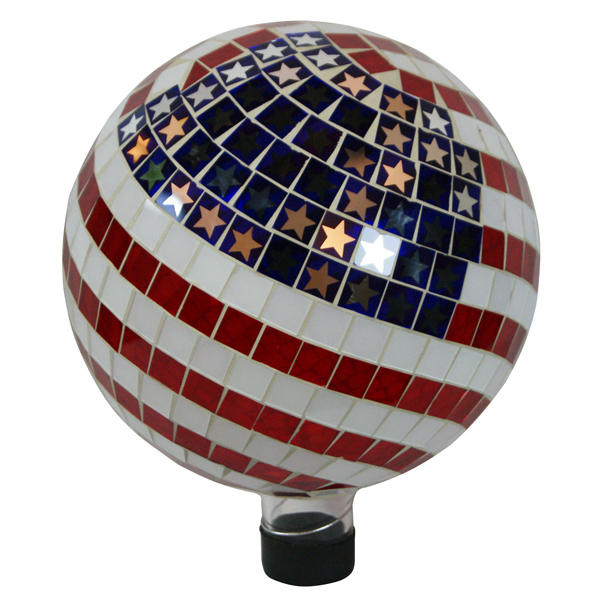 Each globe is individually produced from hand-blown glass ensuring that no two are alike. The embosssed geometric pattern provides character and charm, givubg the globe its inherent unique appeal. Place it on your favorite stand, coulmn, pedestal or holder and display it in an area of the yard where it is sure to act as a focal point. Beautiful silver stainless steel gazing globe. Features a brilliant mirror finish. Shatter-proof steel construction. Stands SOLD SEPARATELY. 10 inch diameter. Echo Valley 8102 10 inch Glass Gazing Globe Classic Mirror, Silver Features: Decorative gazing globe; Hand-blown glass; Classic mirrored finish; Silver; 10 inch. 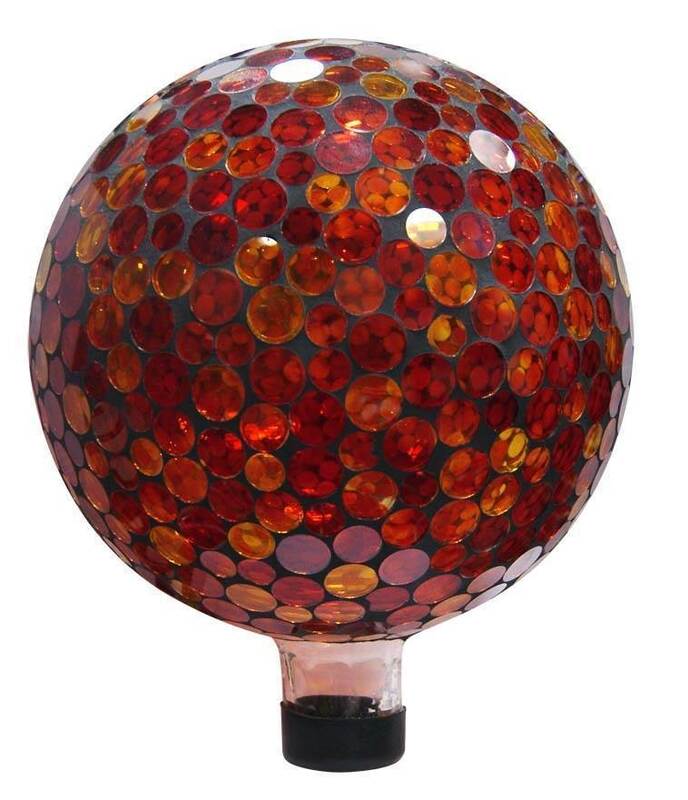 Liven up your outdoors with our amazing gazing globe collection for an enchanting and colorful display. Use them as an accent to your patio or move them out in to the garden to create a perfect centerpiece for your favorite outdoor setting. Add variety to your garden by collecting several colors and changing them occasionally. 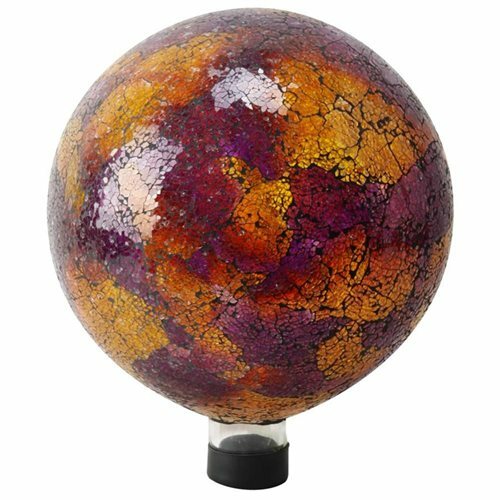 Display your gazing globe collection with this beautiful and functional Gazing Globe Stand. 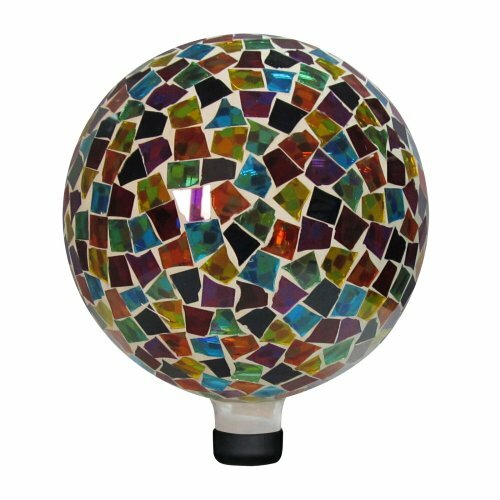 This mosaic gazing globe utilizes individually hand-blown glass pieces creating a beautiful array of golds and reds along with other colors, making a great addition to any garden area. Place a gazing ball among your perennials, near the rose bushes, or at the end of a pathway. Stand not included.